Pasta salad is the perfect picnic food - it travels well, can be eaten cold or at room temperature and is packed with flavor! While you may have a macaroni-and-mayo image in your mind, think again. All of these recipes feature fresh veggies and light dressings, with only a hint of mayo - good bye pre-packed pasta, hello-o homemade & delicious! Gluten free? I love Orgran's Spirals (and other shapes, too!) because they hold their shape and texture, cook up and taste just like regular pasta - none of our uninformed guests can ever tell the difference! Artichokes and Peas with Creamy Pesto Pasta Pictured above, a 5 ingredient crowd pleaser, this elegant pasta salad is ready in a flash and will be sure to impress any crowd! So easy and heart-healthy with an olive oil and balsamic dressing, this salad is light, fresh and perfect for summer. Prepare the pasta and dressing in advance then toss in fresh grilled veggies for a picnic treat. A classic, perfectly pairs with just about anything on the grill! A new take on the classic version with broccoli slaw and pumpkin seeds. Feature the flavors of spring all summer long with this quick and easy pasta salad. The perfect combination of creamy avocado and crunchy-salty prosciutto make this a winner! With an Italian edge and only a handful of ingredients, nothing could be easier or more delicious. Fresh, flavorful and ideally served at room temperature, this recipe is mayo-free (no refrigeration necessary!) and perfect for a picnic. Equally delicious hot, warm or cold, this pasta recipe is simply dressed and features roasted cauliflower - a delicious roasty-sweet veggie treat! With a little bit of prep work, this is a super elegant pasta salad that will dress up any barbecue or picnic! With only 5 ingredients (including salt & pepper! ), nothing could be simpler. 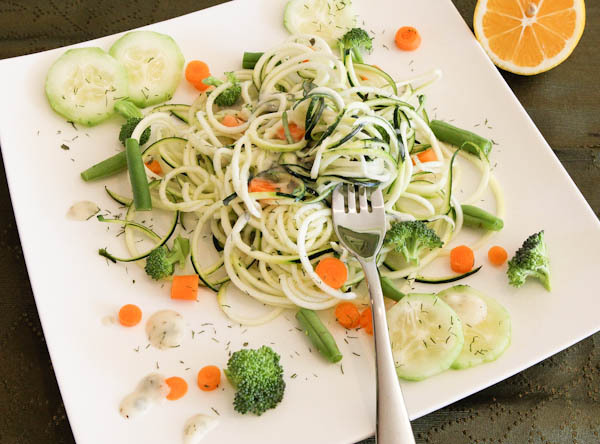 Not really pasta at all, spiraled zucchini "noodles" make for a super healthy and oh-so-tasty vegan / gluten free / raw / low carb / diabetic pasta dish - seen below! 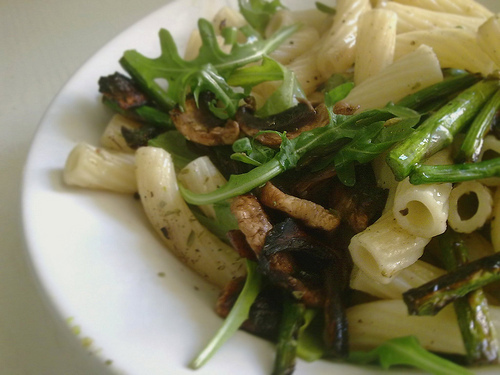 Good post, what is the recipe for Mediterranean Pasta? Thanks for sharing this wonderful pasta salads for picnics.